Nashville has always seemed to have some degree of mild hind limb lameness/weakness, but she has been able to handle light riding without issue. 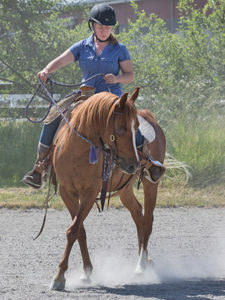 Dr. Lewis of Rainland Farm Equine Clinic was recently out at the farm and did a brief lameness exam on her. Dr. Lewis concluded that Nashville is “serviceably sound for a home with light trail riding and arena work.” This is consistent with what we’ve known from prior exams so there were no surprises on this visit. 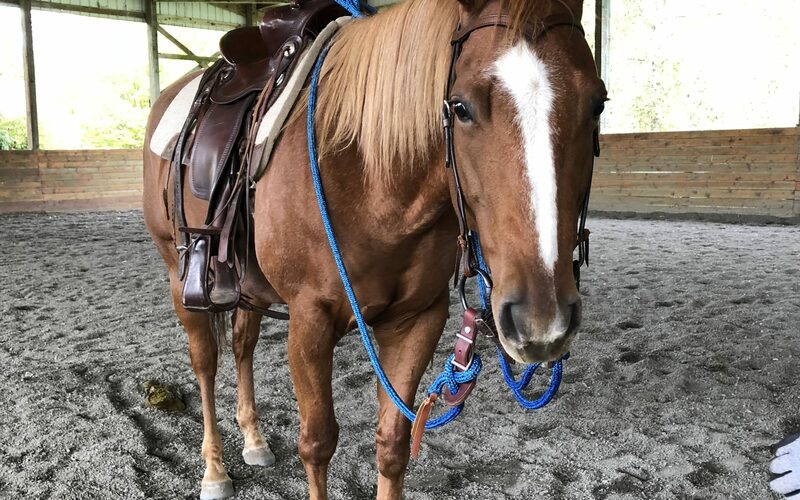 She suggested that she not be asked to do anything that requires a significant amount of canter work because she has trouble holding her leads in the hind. 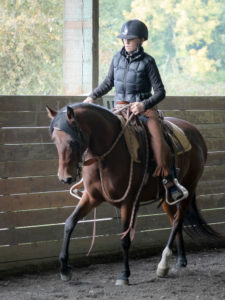 We have been doing some strengthening exercises under saddle and this problem has actually been improving, but Nashville will still be best suited for an owner who doesn’t wish to do too much cantering. Her hind limb lameness was found to be mild on flexion tests. But Dr. Lewis says that since this has been a chronic issue and the source of pain has been difficult to localize, it is unlikely to fully resolve. Getting a definitive diagnosis would require an extensive lameness exam and is a needle in a haystack situation. If she was having more issues in her current level of work, we would pursue further diagnostics. But for now she is handling light arena work and trails comfortably. 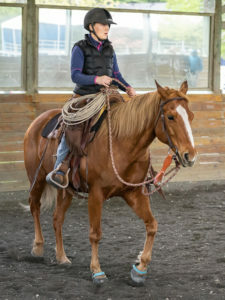 Nashville is a horse that benefits greatly from bodywork, and we recommend that her adopter helps her maintain her current level of comfort with chiropractic treatments and massage. Dr. Meyer of Pilchuck Vet Hospital sees her fairly regularly for chiropractic adjustments, and our barn manager, Lori, does massage work on her. 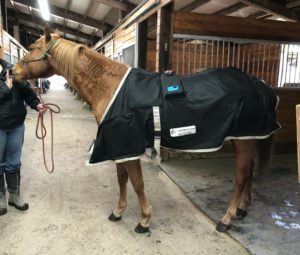 Nashville also really seems to enjoy treatments with our PEMF (pulsed electromagnetic field) blanket that was graciously gifted to us by a donor.